Are you in need of some help cleaning the carpets in your home? Would you like to finish the cleaning job that you have started, to have a home that is perfectly spotless, but you don't know how to deal with the floors? Don't worry, don't stress, we are here to help. We are experts at cleaning carpets, and we will give your home that quality finish that you are looking for. We offer services to meet all of your carpet cleaning needs in Everett, WA giving you the chance to relax and enjoy a clean home. If you have children, you know how important it is to keep the carpets clean in your home, and you know how hard it is to achieve that, too. You want your children to have a safe and clean place to play, on the carpet, but you also see how much damage they can do to a clean floor. Children mess up your carpets and they leave them dirty, but we are here to help. 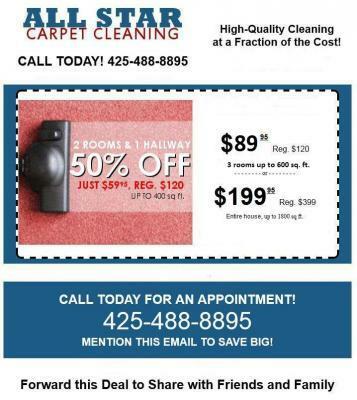 We meet your carpet cleaning needs in Everett, WA and we clean up after your children. We give your children a safe and clean place to play, and we allow them to be kids - because we are here to clean up when they mess up. Relax, we will clean your carpets for you. Your home can be clean, from the top to the bottom, and we will take care of the floors so that you can achieve the clean home that you are wanting. We work hard to ensure your home is as clean as you want it to be, giving you carpets that are a safe and clean and ready for play.